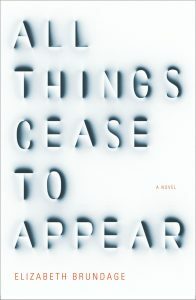 Reading Elizabeth Brundage’s All Things Cease to Appear is a mesmerizing experience. For those wishing to categorise it, the novel is generally described as a mixture of ghost story and murder mystery. In truth, neither the ghosts nor the police are very active presences: this is not a tale that achieves its effects by arousing supernatural terror or by displaying an investigator’s insights. It is, however, an extraordinarily gripping and suspenseful narrative, much of it told from the perspective of a murderer. Like much else in Brundage’s novel, the fleeting supernatural presences and the largely unsuccessful investigation have wider resonance. The ghosts are intimations of unseen connections in our lives and perceptions; police failures remind us how easily bold lies and secret violence can be concealed from the view of others. The hidden persistence of guilt and hatred is at the core of the novel. 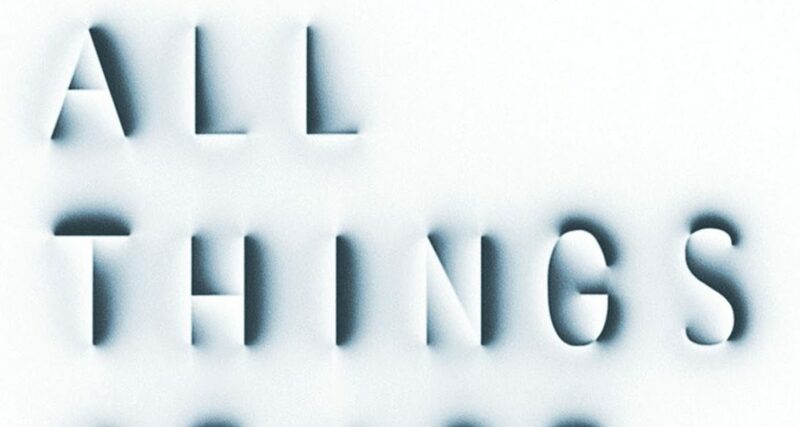 All Things Cease to Appear is also a portrait of a town at a time when its cultural and economic landscape is shifting, the older generation of farmers going bankrupt and the new money from the city buying up the land. The picturesque scene admired by visitors is one of the more deceptive aspects of the town of Chosen: “If you wanted to see a real farm you’d have drunk, broke farmers and hungry animals worried for their lives. You’d have bitter wives and snot-nosed kids and old people broke down from giving their hearts and souls to the land.” In some ways comparable to Daniel Woodrell’s The Maid’s Version, Brundage’s novel explores an exhausted, dying community during a time of irreversible historical change. In plot terms, the chilling story of Catherine and George Clare, newcomers to the town of Chosen, is woven together with the equally dark history of the Hales, the family who owned the farm before them. The Hale parents committed suicide in the same room where Catherine Clare was found gruesomely murdered. They left behind them three boys who come back to the farm to help out and whose lives become entangled in complex ways with those of the Clares.